The lads over at the Grognard Files have published a couple of episodes about the history of Games Workshop including an interview with one of their key employees, Tim Olsen. After listening to the first part, Dirk the Dice asked for contributions from listeners, to share their memories of Games Workshop ‘back in the day’. I sent an email to Dirk and he included some of my contribution in the second part of the podcast, for which I’m very grateful. Because however of limited time available, he wasn’t able to include all my email so I thought I would post it here for your perusal. Games Workshop Birmingham was my ‘local’ store and spent many a happy time visiting and spending whatever pocket money I could scrape together there. However when pulling together these notes, I couldn’t find any pictures on Google of the Birmingham store, when it was located at unit 37 inside the Birmingham Shopping Centre. Absolutely nothing – no shots of either the front or inside the store, without trawling through old copies of White Dwarf magazine. 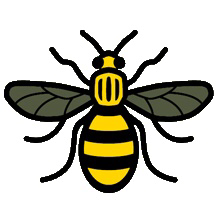 Therefore I do have one request – if anyone does have any photos of reasonable quality that they wouldn’t mind me posting as an addition to this article, I would be very grateful (drop me a response in the comments section). ‘I listened to your podcast today on my work commute, as always a very enjoyable reminice of RPG gaming from ‘back in the day’. Being an old school gamer, I had many parallel experiences and memories of Games Workshop and I hope you don’t mind me sharing them with you and your podcast listeners. For me, Games Workshop’s Citadel Miniatures always meant more to me rather than RPGs, when I first started gaming in the early 80’s. Though I’d picked up a few cast-off Ral Partha figures from school friends in 1982, my trips to GW in Birmingham didn’t start until the early summer of 1983. Based at unit 37 of the Birmingham Shopping Centre, I used to catch the bus or train in with my cousin Carl; for me its not just what was on the shelves like many people, but oddly a lasting memory was the smell of the shop. A heady mix of coffee that had been cooking on the percolator for far too long, shelves of fresh new books and the occasional blasts of underarm perfume from one of the staff known as Ted. Those early trips involved asking Ted ‘can I see tray such-n-such’ and feeling slightly intimidated by a watching Ted, whilst you rifled through the tray, looking for that Dwarf figure you’d set your eyes on from the Citadel catalogue. The shop layout as I remember was a sales counter as you walked in on the left hand side, shelves of RPGs and supplements continuing on the left, the figures display / blister packs next with the second sales counter at the back. This is where I probably spent most of my time as the right hand side was mainly wargames and board games which I wasn’t interested in. One particularly noteable ‘feature’ if you can call it that, was the big box Traveller Deluxe set, stood high above the figures shelves. It always intrigued me but at £14.95, that was a lot of money I could spend on figures… so I never bought it. I finally managed to pick up a copy from eBay several years later though. 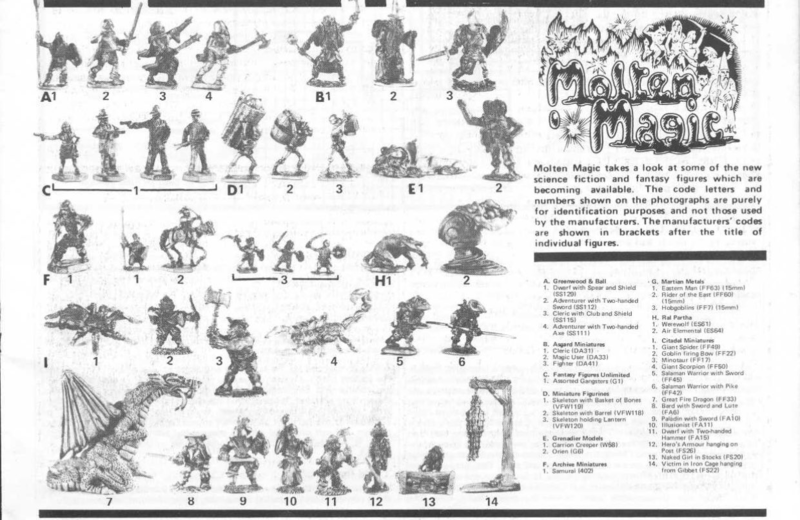 As I said, it was always the figures for me and RPGs were secondary in the early to mid-eighties so imagine my surprise after entering the Midlands regional heat with a selection of painted figures for the first Golden Demon award in 1986, I was one of the winners! I had my figures displayed in the glass cabinet in the Birmingham shop! I was able to go onto the finals in Nottingham and though I didn’t win anything (people with far bigger budgets and more skill than me won), I will always have that memory. Oh, and during the judging, my Ogre did catch John Blanche’s eye so it did get fondled by one of the great GW artists for a short while! Dirk and Blythy discussed the lack of hobby and model shops in Bolton and Manchester, in some ways I was lucky in having Games Workshop, Games Centre, Virgin Megastore and Beatties all within easy walking distance in Birmingham city centre. The latter was a great resource for purchasing plastic models for adapting parts and converting the Citadel figures. A shout out must go to ‘Mulliput’ – the model makers friend and essential model making clay. Used to make the bases more decorative and fill in those gaps in model making conversions, Milliput was purchased in huge amounts to feed my Citadel ‘habit’. It must have been 1990-91 when GW Birmingham moved to a different location in the Pallasades as it was renamed (from the Birmingham Shopping Centre) and my gaming group decided to go over for the grand opening. It was extremely busy and many of the new Warhammer lines were selling well. Near the main counter, were the ‘bargain bins’ so I wandered over. The staff had obviously had a clear out and many of the lines such as AD&D modules or gaming supplements, were being sold off to clear the stock room out. Most of the bins had been emptied, but I picked up a few books and some Metagaming titles cheaply. After this, the store was heavily into promoting their house titles and pushing Warhammer Fantasy Battle (which I was never into), so my trips to GW became more and more infrequent. Eventually, our gaming group broke up (jobs, real life and all that) in 1992 and I didnt have anything else to do with RPGs until 2009, when I started to pick up copies of Classic Traveller via the internet. Ordering RPG material off the internet doesn’t quite compare to those early eighties trips to Games Workshop, where the chance to go and look through the RPG goodies was definitely its strongpoint – along with that smell of burnt coffee! If you’re interested in reading my Tunnels and Trolls posts that were mentioned in the podcast, you can find part one here and part two here. This entry was posted in Role Playing Games and tagged birmingham, games workshop, grognard files, grogpod, miniatures. Bookmark the permalink.